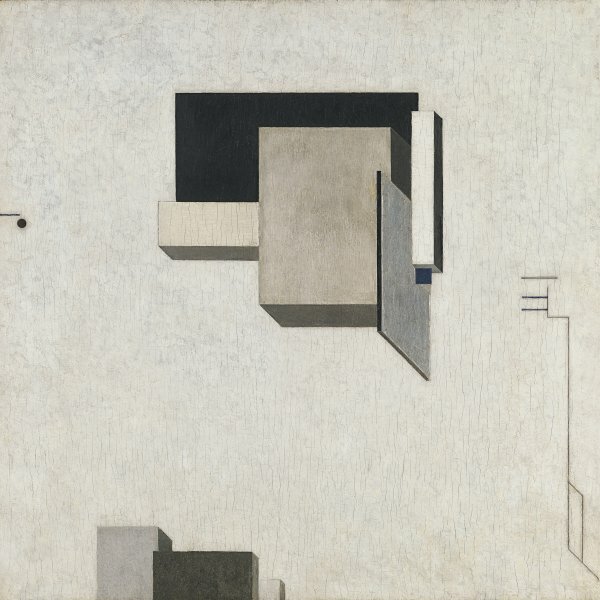 Departing from investigations of Cubism and Futurism, Suprematism, which takes its name from the Latin word supremus (supreme, absolute), aimed to gradually reduce painting to its minimum expression, which Malevich achieved in 1918 with his series of “white on white” paintings. 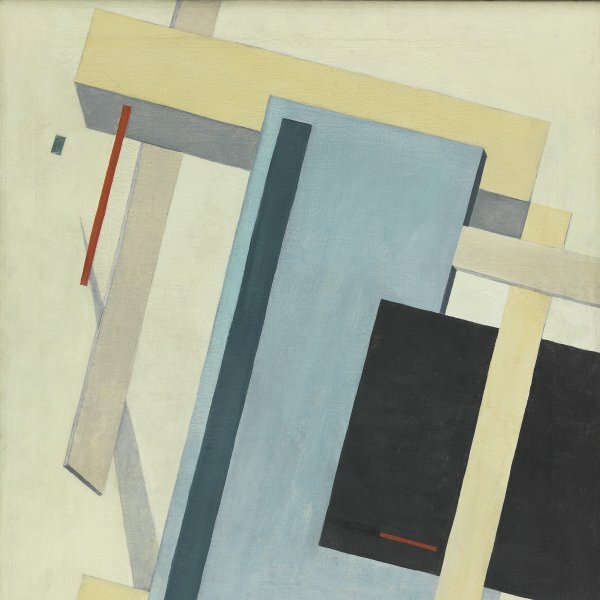 The new Suprematist and Constructivist movements also dreamed of transforming the world, abolishing all laws, and, as John Bowlt points out, they became “agents of anarchy” and “forecast the demise of the European bourgeois order, identifying the Great War and the Bolshevik coup as catalysts to social transformation.” Malevich soon became one of the leaders of the cultural revolution that marked the first years of the Bolshevik Government and produced numerous Suprematist designs for poster advertisements, theatre sets and architectural projects. 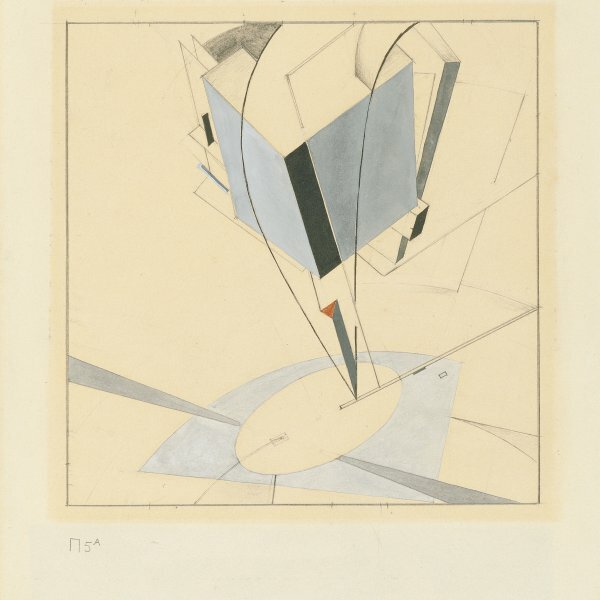 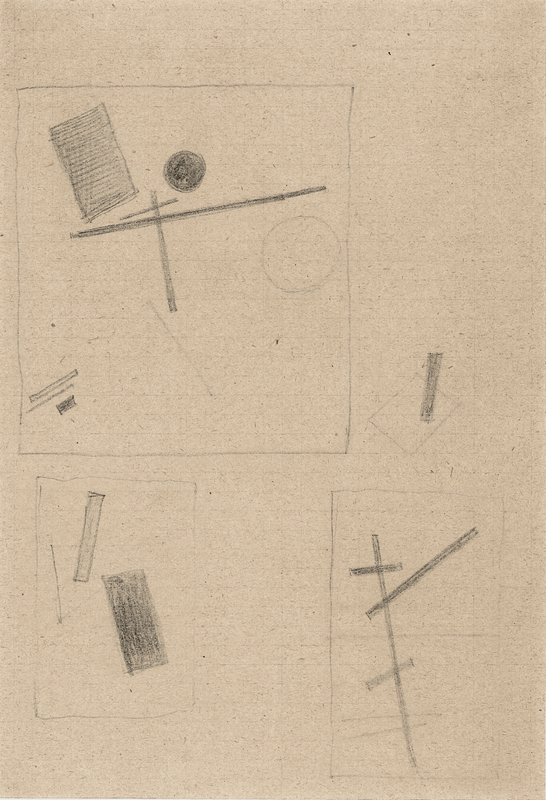 This small work featuring a series of Suprematist drawings, which belonged to Malevich’s student Anna Leporskaia, has been dated by John Bowlt and Nicoletta Misler to about 1919 on the grounds of its connection with a lithograph from the album Suprematism, published in 1920.